John Murphy has gone from zero to hero over the course of five seasons, and what a transformation it’s been! The lone ranger, who once garnered our disgust as we observed in disbelief when he hunted down a young girl named Charlotte and shamelessly offered her up to the pariahs all to save his own skin in Season 1, has found himself on the receiving end of our adoration after saving Clarke and co. numerous times throughout all four seasons of The 100. Now, John has found himself in the biggest predicament yet: stuck in space– and dare I say reverting back to his old ways? 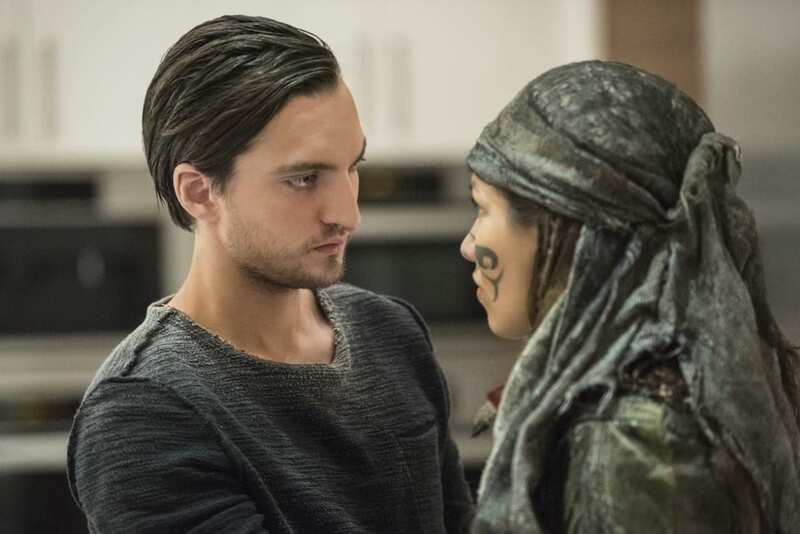 Richard Harmon, the endearing actor who plays the aloof character on the post-apocalyptic series on the CW, says Murphy won’t be making any power plays any time soon, but that doesn’t rule out the hope of some good old evolution for the misunderstood John Murphy. 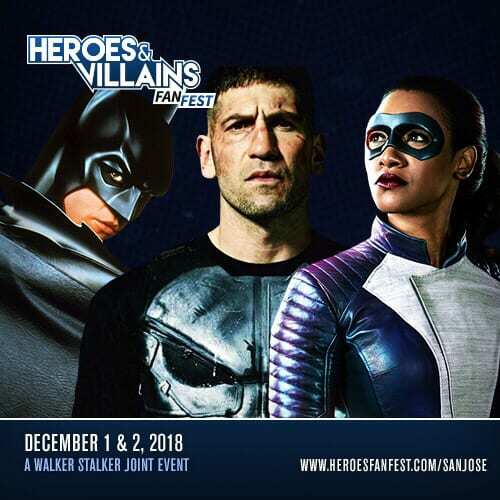 In fact, his budding friendship with spacewalker Raven Reyes [Lindsey Morgan] was a topic of discussion during our recent interview, and let’s just say– these two are totally past that whole leg paralysis situation. 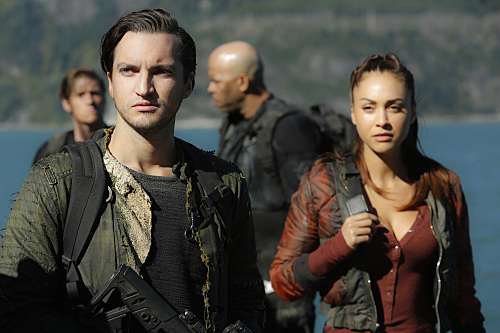 Growing up comes with the territory when you’re experiencing a six-year time jump, and the fans are foaming at the mouth to see where such a drastic shift will take the characters of The 100. Where does everyone fit in? Can relationships survive the test of time… and being confined to close quarters and stressful situations? Harmon went in-depth about John’s new dilemma stuck in the Ark, mentioned that maybe his space crew has been watching that massive archive of movies (and perhaps Spongebob) to pass time, and hinted at the possibility of new alliances amongst the characters on the show. He also spoke about how cool the time jump is for him as an actor, and the agonizing realities John Murphy must face in his own form of solitude. MCKENZIE MORRELL: Obviously we’re here to talk about The 100. It’s finally coming back next week after an agonizing hiatus. RICHARD HARMON: As always. I don’t know why we always have the longest layover out of everyone. MM: It’s like ten months. It’s pretty long. RH: Feels like it, yeah. MM: Fans are curious to know what your character, John Murphy, is up to and where his journey will lead him this season. We don’t want to get in trouble with the spoiler police but can you give a summary of what we can expect from the next season or something you’re looking forward to us viewing? RH: I think with every season on our show, we really do shake things up and reinvent the wheel with what we’ve shown you before. This season, more so than any of the others in particular because of the six year time jump, is really cool. I think it was a real pleasure for us actors to do and a real challenge because it opened us up to being able to bring new things to the character that you haven’t seen before in those six years or put some of the stuff that we’ve had to hold on to behind us as a character and gear ourselves up a little bit. That’s something I’m excited for everyone to see. As far as a general basis for where we start off, I’ll only speak for myself. I’ll let the other actors take care of their own storylines. But it’s been six years, we’re up in space. It’s been about a year since we’ve been able to go back to the ground but we obviously have not come down yet to our knowledge. I think it’s all about why we haven’t and what the situation is up above the ground where we are and trying to find out what problem we’re going through. I’m excited for everyone to check in with us and get acquainted with the characters and find out new things about them. MM: Right. It’s been so long on both avenues in terms of the audience and in The 100 time. RH: Maybe that’s why they did it. MM: They did it on purpose. MM: We will always wait! Murphy started out as this lone ranger. He slowly began to make his place in the world with the group even though he’s faced many struggles and people didn’t get along with him. Who would you say he misses the most on the ground? RH: Uh, no one. That’s my honest answer. I don’t think he misses anyone. MM: I guess there’s been a lot of times where he was ready to leave the group and ditch them and go off with Emori. RH: Like you said, the lone ranger in him is an easy role to slide back into and I think he does it without hesitation. 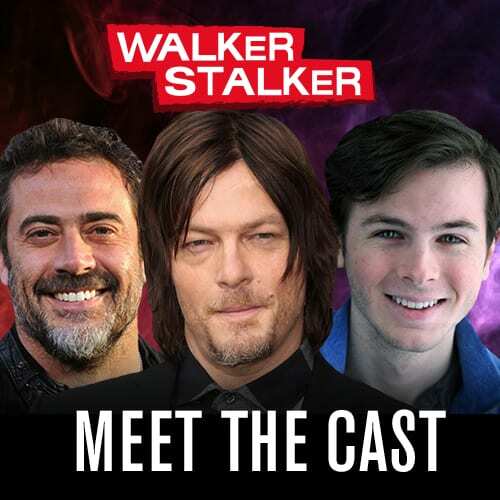 Without giving away too much, when you get to know Murphy at the beginning of the season, he may or may not already be back to that role, not even just with the people on the ground but maybe with those that he’s been stuck with for the last six years. MM: I strongly believe that Murphy and Raven are just as important to the show as Bellamy and Clarke are. Your characters have saved the group multiple times but don’t often get the credit that the two leads do. RH: I think Raven gets the credit. I don’t think I do. MM: [Laughs] You single handedly saved Clarke when she went into the City of Light and nobody acknowledged that. I mean you did, as a character but everyone else was like “yeah, Clarke saved us all!” Which is kind of the theme. Do you think that John harbors any ill feelings especially since he’s stuck with Bellamy up in space, in terms of how he’s lead the group so far and what do you think your character might have done differently if he was the one in charge from the beginning. RH: I don’t think that kind of leadership role attracts him very much. I think back in season one he kind of tried to make some power plays to be higher up in the hierarchy and that ended with him getting banished and I think he’s learned his lesson there that that’s maybe not the place for him. I don’t think he’d go and try to be the leader in any situation but he’s the type of person who would definitely have qualms or issues with almost anything. Any leader on the show, he has issues with how they do things. That’s just kind of the way he is. I think Bellamy is actually the person he probably is closest to and trusts the most. MM: I would agree with that. They have seen better days, obviously in the past but hopefully in space they get to flesh out their friendship while trying to find their way back to the ground. RH: I think they have. I really do. I’m referring to after the six years. I think Bellamy is the person that he trusts the most. MM: Interesting. That’s not something people would expect, that these two people who were at odds would ultimately come together. Obviously everyone in space has their expertise. What is John Murphy’s strong suit and what does he bring to the table over the course of those six years? RH: I think the problem is that he doesn’t bring too much to the table. He can but the things he brings to the table are kind of like that pressure cooker situation. I don’t think there are many people better in those situation than John Murphy and unfortunately up in space there’s nothing there to test you in that way. Every day everyone is trying to better themselves and train or learning Grounder or I don’t know, trying to improve Monty’s algae recipe. And I don’t think that’s something Murphy does very well. He’s so good in those pressure cooker situations because it gives him a reason to feel like crap and I honestly believe he has issues, whether it be PTSD or maybe just depression that he’s been dealing with, not even through what happened on the show but before season one began he’s been dealing with things and I think that’s the reason for a lot of his actions. I think when the war started happening it gave him a reason to not feel good. No one felt good and he could hide behind that and it worked for him. Now he has nothing to hide behind and he has to deal with this depression he has and these issues inside of himself and he’s too proud of a person to go and tell everyone that some days it’s like “why can’t Murphy get out of bed?” Everyone thinks it’s just laziness but maybe there’s something really wrong with him. MM: Do you think that six years up in space and in an enclosed area with the same people, year after year and day after day, do you think it gives him the opportunity to face the fact that he hasn’t looked deeper into himself? RH: I don’t think he likes having to face that. He has been forced to face it but I don’t think he’s successfully done so. I think at every turn he tries to hide it from other people, whatever it is. MM: I spoke with Luisa [d’Oliveira] the other day and living with someone you love in any relationship is a big step but Emori and Murphy were kind of thrown into that situation. With that in mind, can you give us one word to describe their relationship in season five? RH: What did she say? MM: I can’t tell you. You’re going to have to wait and see. MM: I believe she said shifted. RH: God, she’s a professional. This is why we’re strained. MM: With all these feelings that are being stirred up in space, do you think old feelings of remorse are going to come up between Murphy and Raven since he was responsible for her mobility deteriorating and all that? RH: No, I don’t think that old hatred comes back up. I think those two are fairly solid. There is that respect that they’ve gained for each other at the end of season four and remains in season five. I think there is some — I think she probably gets annoyed by Murphy more than anything but not bringing up those old wounds, thankfully. I think those two have a cool storyline in season five that everyone can look forward to. MM: I think a bond was formed in terms of Raven being the only one who would stand up for Emori when she was being offered up as a guinea pig. Moving past their turbulent relationship up until then, I feel like you can set it aside and move forward from there, hopefully? 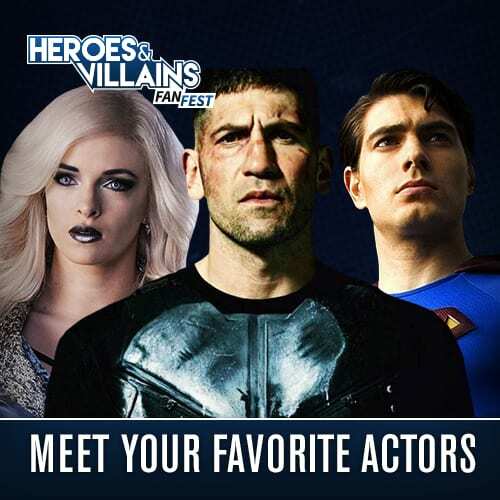 MM: If you were stuck in an underground bunker which three characters from the show would you take with you that you wouldn’t get sick of in that time? RH: Certainly not Murphy. I think I’d go with — I would hope Pike wouldn’t be dead at this point and I would take Pike. Monty. Monty’s nice. And I would take — the all important third member. I suppose I’d take Jackson, for medical reasons. MM: Good choice. Gotta survive and have like-minded people around you. Obviously we’re far into The 100 time and space sort of thing. It’s not a secret that you’re a fan of SpongeBob. Do you think that Murphy knows who SpongeBob is? RH: What I saw from the first few seasons on the Ark is that someone maybe had a VHS player on there and there was an old VHS movie and in my mind it was Runaway Bride with Julia Roberts. For some reason I was like “that’s it, that’s all we have.” Julia Roberts to us is the biggest star. But apparently someone told me — I make a movie reference in season five that I won’t give away and I was like “Guys, how the f*** do I know this?” And they were like you guys have an archive up on the Ark, there’s a whole library. And I responded ‘oh man, those six years would have been easy then.’ We have all of it. He probably does know what Spongebob is. He doesn’t like it like I do though. MM: He’s not wearing Spongebob boxers up in space? MM: If Murphy was alone in the world and in Clarke’s place, how do you think he’d survive? Do you think it would differ from when he was trapped in the bunker? RH: I think it’d be different because the situation is different. It wouldn’t be fun. Certainly what Clarke goes through is not fun. Yeah, it would be very different. I don’t want to tip my hat to what Clarke has to go through because that’s a big portion of the season. I think he would make it. I truly believe he would make it. I think he’d be better alone than Clarke is. Although, she’s pretty solid. I think finding — yeah, I don’t know if he’d have the same relationship with Madi as Clarke does. He might have fought her. MM: She’s undoubtedly dead at this point [laughs]. I received a lot of questions on social media for this one. If you could choose a theme song for Murphy what would it be? RH: Don’t Let Me Be Misunderstood by Nina Simone. MM: You just pulled that out quickly. Have you thought about it? RH: Yeah. I have a lot of music for Murphy that I listen to and that one always has made the most sense. MM: And that’s another thing people have requested, that you release this coveted playlist of Murphy’s. RH: It won’t happen. It’s not happening. I’ve come to the point that I want people to know a lot less about me than they seem to think that they do. MM: You gotta leave some for mystery. RH: I’ve gotta leave more than I have left in the past. MM: What would you take back if you were going back in terms of information you’ve given out about yourself or even Murphy? RH: Almost anything. I would never have a personal relationship that was viewed online again. It’s nice and I like that people enjoy getting to know me– but it’s only one aspect of me or anyone else that you get to know. It’s not the kind of person we want you to see, which is not all of who we are, and then it becomes a lot more difficult for you to buy what I’m doing as a character and I don’t want to be able to help or hurt what I’m doing as a character because of what you see online. It’s like I’m being this horrible person whether it’s Murphy or someone else or being a good person and then it’s like “oh Richard, he’s a soft Cinnamon roll. He’s really sweet.” That irks me on the inside as a performer that that has affected it and it’s unfortunate that it’s become a thing we have to have because people who hire you really are looking at social media, unfortunately, it’s not whoever’s best anymore. If I could go back and change the way the business worked, I’d make that not a thing and I’d probably not be on social media. MM: I think a lot of The 100 cast would not be on social media if they had a choice. RH: And some love it and that’s totally valid. And that’s the problem. Sometimes I seem like I really enjoy social media and I do but it becomes like an addiction sometimes and I have to stop myself and go “no, stop. Remember what you keep telling yourself. This is hurting what you’re doing, what you’re trying to do. 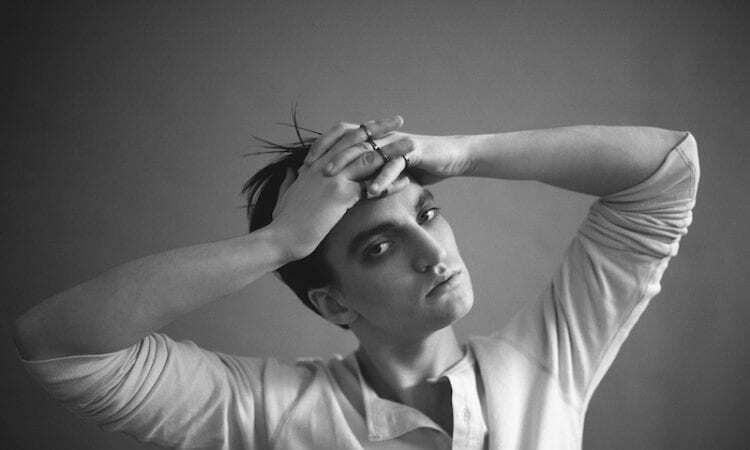 You don’t want people to know Richard Harmon.” I’d rather them know John Murphy and then get to know me in interviews like this. This is a better version of that. MM: Jumping back into personalities quickly, if John Murphy twas a donut, what kind of donut would he be and what toppings would be on it? RH: Oh no. I don’t know. I need to learn more types of donuts, I guess. MM: You can make whatever kind of donut you want. Luisa put on beef jerky and honey and all kinds of stuff. RH: She’s gotta stop. That’s gross. He would be a jelly filled donut, but packed to the brim with Jelly because as soon as you seem to touch that guy he’s bleeding, just oozing jelly because he’s always bleeding on the show. MM: How is he still alive? He’s lost a lot of blood. Which three Emojis would you choose to describe season five of The 100. RH: I need to get out my phone. I need to remember what emojis there are. It has nothing to do with the season but I like this dragon with the crystal ball. I like him. He reminds me that I have to go back to a dojo sometime. There seems to be this one guy who seems to be doing a Wakanda forever sign. I don’t think I’m gonna use that, though. Sorry, I’m learning about emojis while I’m talking. This is big. The middle finger emoji — the dragon, the middle finger — oh the ghost emoji. 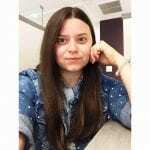 MM: It’s the bloodiest season yet. Everyone’s dying. RH: For sure. It’s a pretty bloody season. RH: That’d be amazing if there was a dragon in season five. MM: And it could have two heads because of the radiation. MM: Can you tease if you’re going to be working with your sister [Jessica Harmon] at all in season five or be seen with Niylah in season five? RH: I honestly don’t even remember if I did work with her. I have no idea. MM: It’s all a blur. RH: Once we’re out of it I can’t remember. MM: Thank you Richard, this has been awesome. I’m looking forward to seeing where John goes this season. I know it’s going to be different from the past ones.